Your wedding in Johnston County can be rustic, elegant, outside or all three at once! Check out what we can offer! Getting married in rural destinations on farms, wineries, and horse venues is very popular with today&apos;s brides. 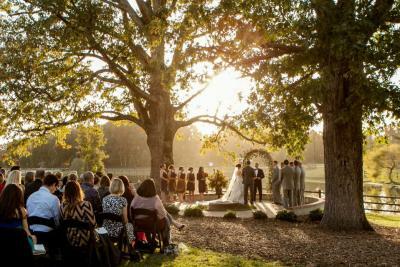 Johnston County has all these and more for your weddings or family reunion, including Bed & Breakfast Inns, historic homes and several area farms all located just 30 minutes from Raleigh. For assistance planning your event in Johnston County, contact our Sales Manager, Sarah Elizabeth Lagasse.